Often called Mexican Spaghetti, they are a thin vermicelli or angel hair pasta that are browned in oil or lard and then tossed with vegetables. You can add tomato sauce, peppers, cheese to make unique and delicious recipes of your own. 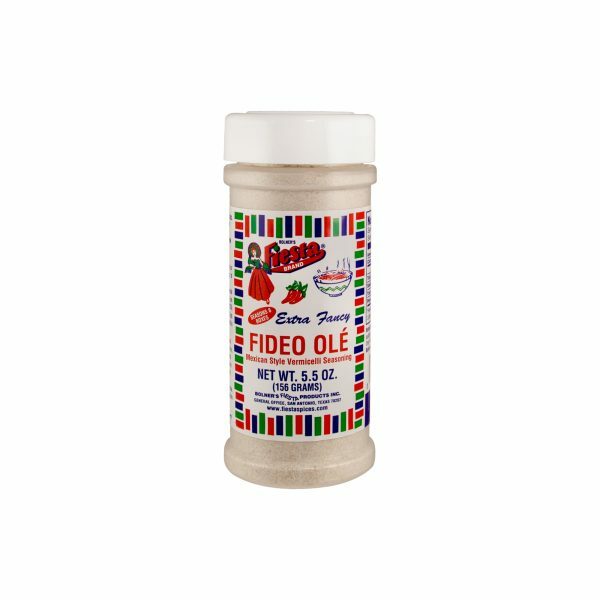 Our Fideo Ole seasoning will add the perfect balance of salty, savory and sweetness to any noodle dish you prepare. Simply break the long thin pasta into short pieces and brown in hot oil, being careful not to burn any pieces. 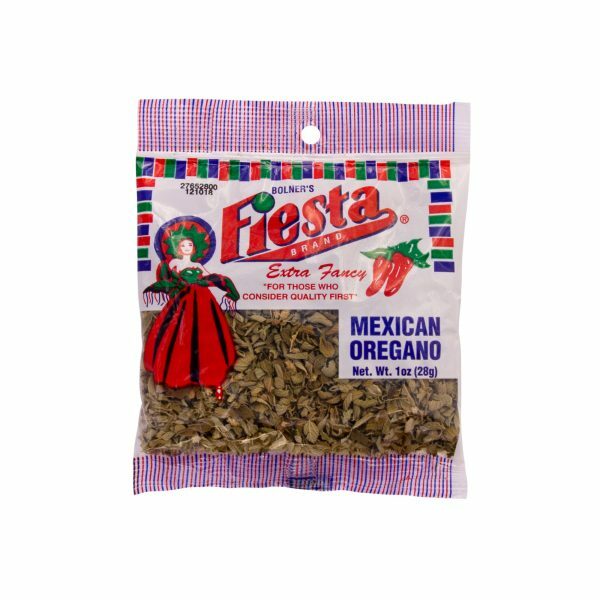 Bolner’s Fiesta Brand Fideo Ole seasoning is made with top quality ingredients. 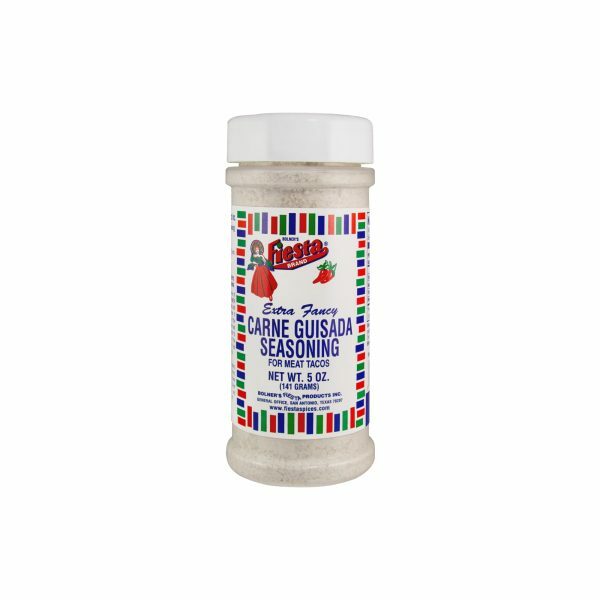 Use it to add a touch of traditional Mexican flavor that is loved by all. Salt, Dextrose, Monosodium Glutamate, Onion, Spices, Garlic, Silicon Dioxide (Free Flow Agent), and Chicken Flavor (Hydrolyzed Corn Gluten, Autolyzed Yeast Extract, Partially Hydrogenated Soybean and Cottonseed Oil, Thiamine Hydrochloride, Dextrose, Disodium Guanylate). Amounts per Serving: Calories 0g; Total Fat 0g (0%DV*); Sodium: 170mg (7%DV); Total Carb 0g (0%DV), Protein 0g. *Percent Daily Values (DV) are based on a 2,000 Calorie Diet. Add one 14-16 oz. size can of whole tomatoes (chopped and with juice), two tablespoons of Fideo Ole' Seasoning and 1 1/2 cups water. Cover and simmer until liquid is absorbed...about 10 minutes.